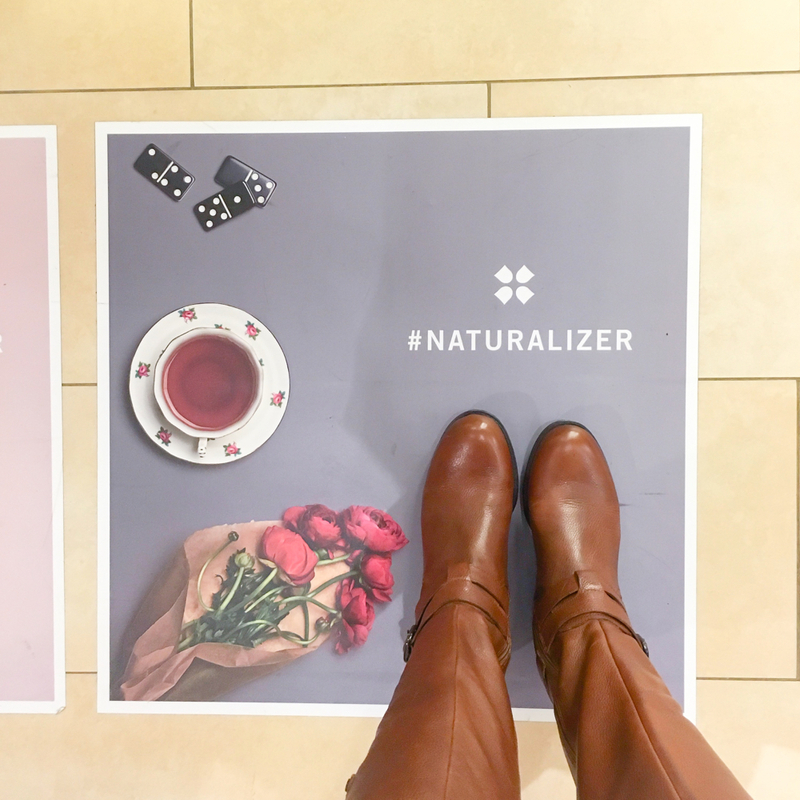 Earlier this month, during St. Louis Fashion Week, I had the opportunity to visit Naturalizer for Brunch and to learn about their philosophy of combining current styles with comfort that lasts all day. There was a small group of us that weren't able to make the formal event, so unfortunately we didn't get to meet with the designer, but still got to check out the latest line, learn about the inspiration, and pick a pair to take home. 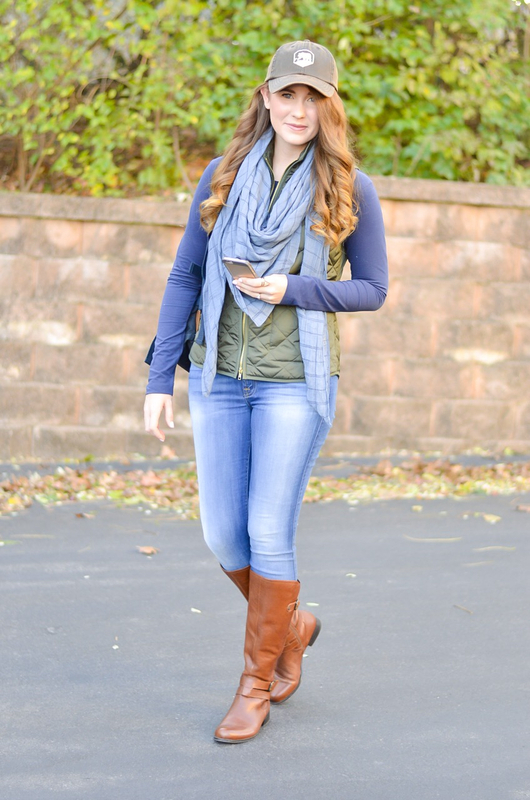 They had so many great styles, perfect for staying comfortable all day long. 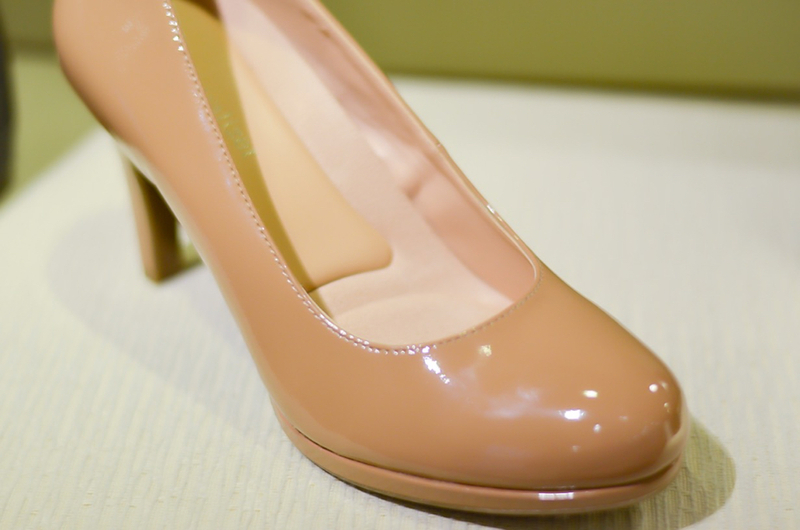 I particularly liked their classic pumps- the heel is a manageable height, the little platform provides a ton of cushion for the ball of the foot, and the toe is a timeless shape. If I had a dressier workplace, these would have been my winners. 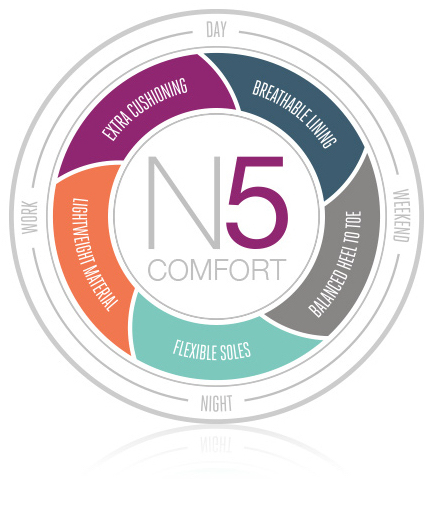 Even many of their heels incorporate their patent-pending N5 Technology. But what ended up catching my eyes was the boots. I actually didn't have a medium brown pair of knee high boots, so as soon as I slipped these on and zipped them up, I was sold! 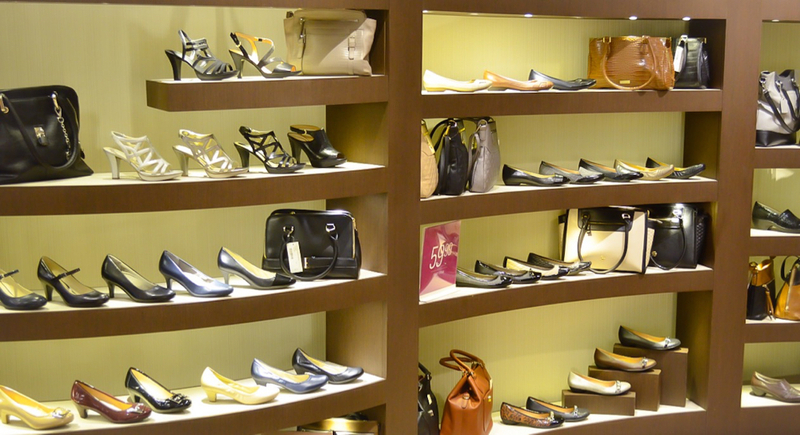 They are tremendously comfortable, and super versatile. 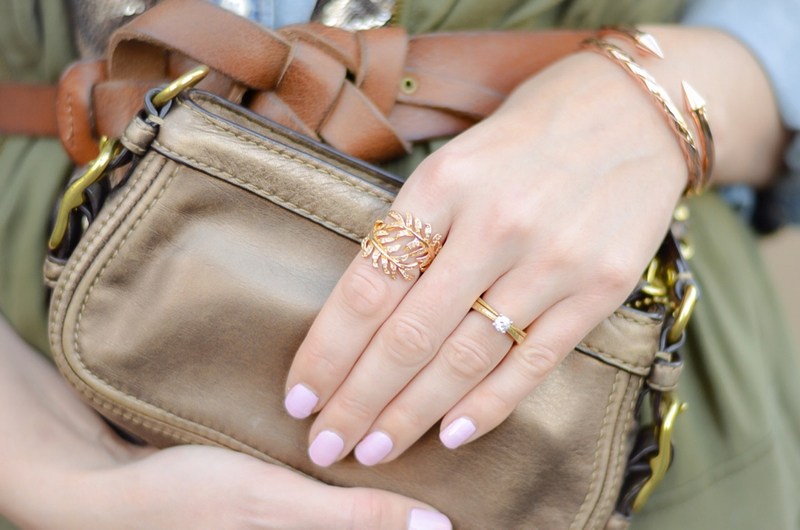 Vine ring c/o Amy O. 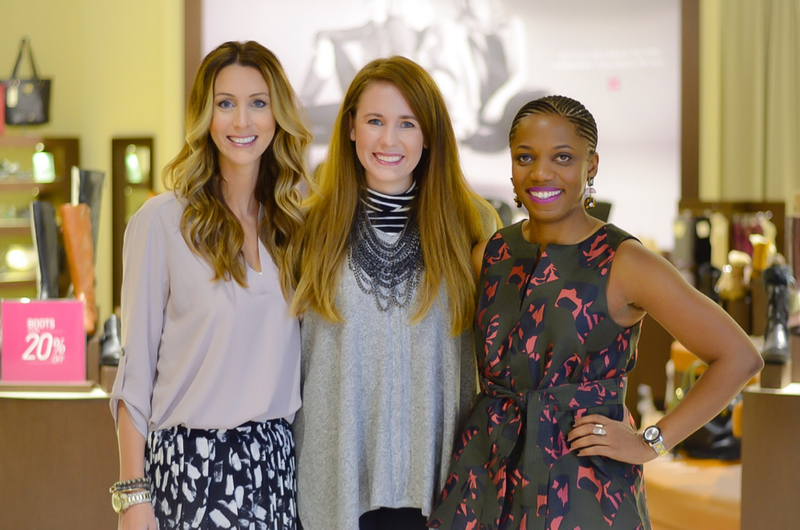 Thanks to Naturalizer for hosting and to Midwest Influencer Network and Explore St. Louis for sponsoring all the fun STLFW events! You know how I feel about the night look already! 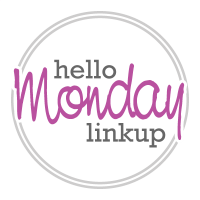 Though both looks are fab! 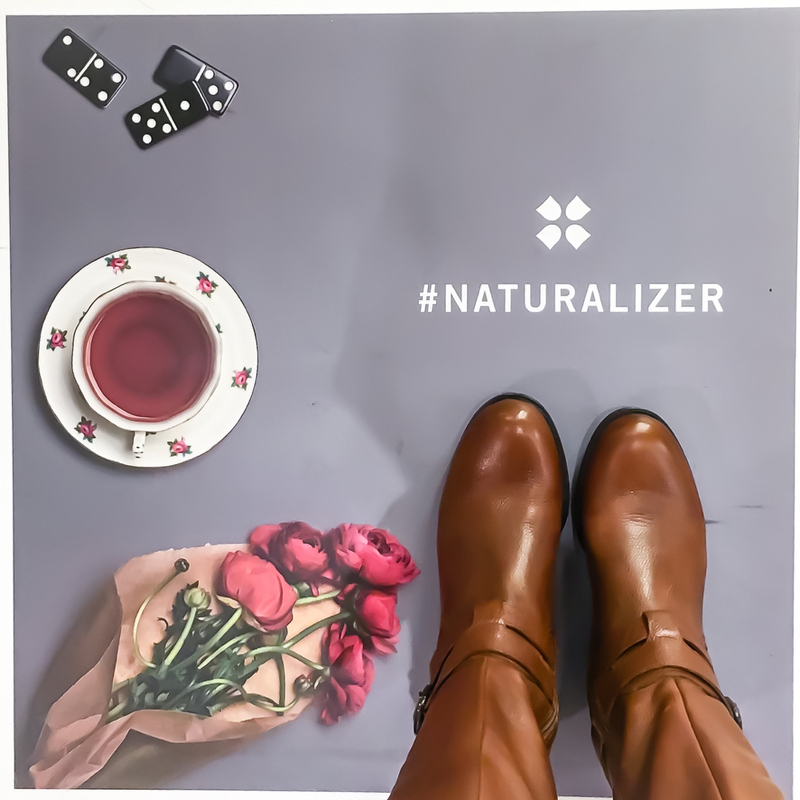 I'm glad you got the Naturalizer experience! It was my favorite event last year, and I still love both pairs of boots I ended up with! You made a wise choice! 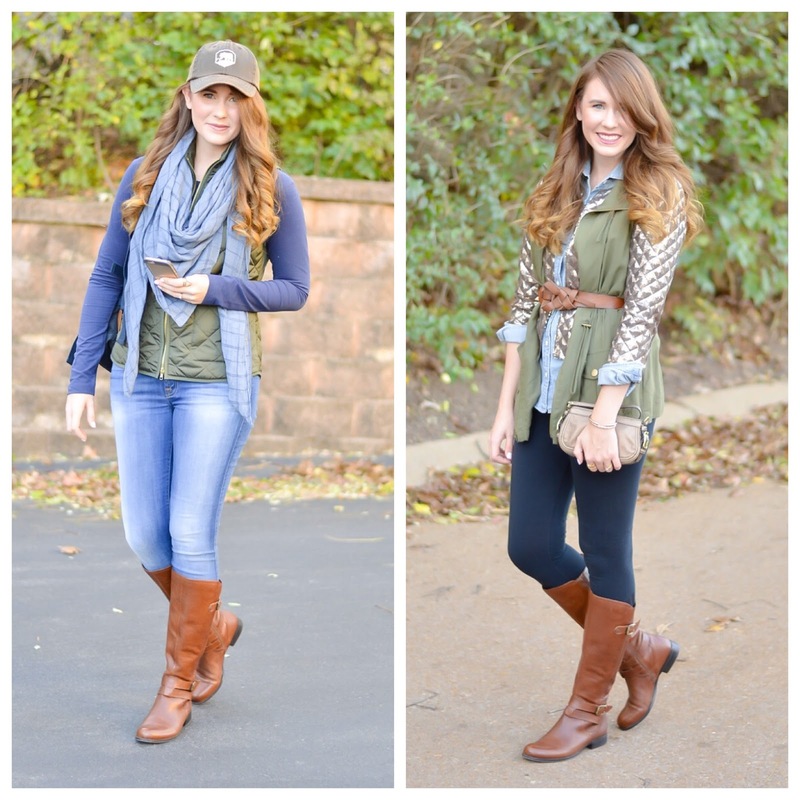 Love how you styled these boots for both looks! 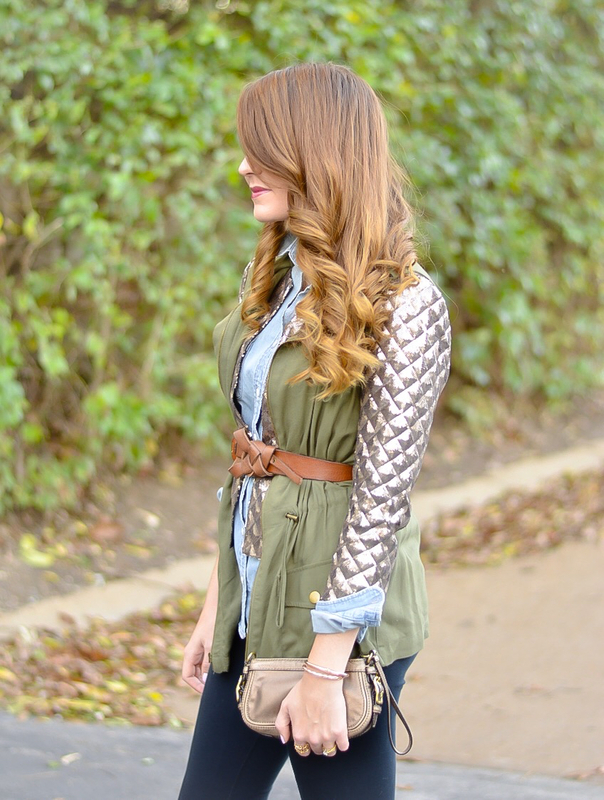 And that sequins jacket is just amazing. 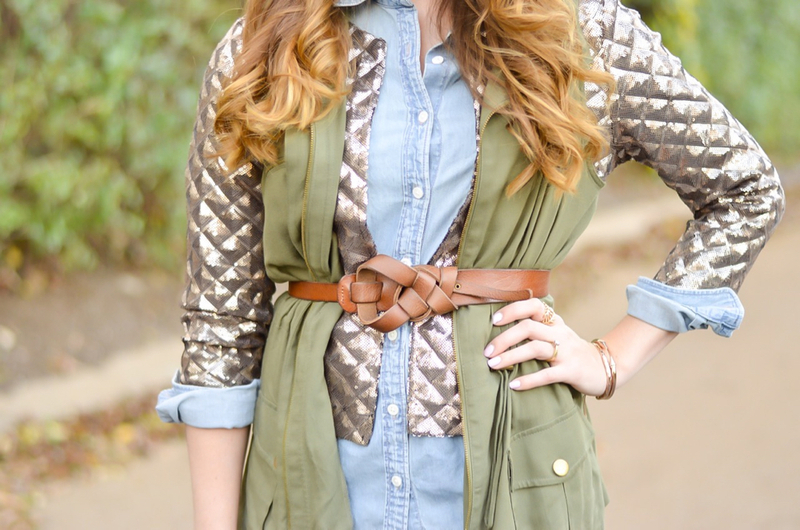 Oooh love your sequin jacket in the 'night' look! Day Cutie Pie, Evening Stunner!!! Love both of theses. Naturalizer boots are so comfy. You just look like a million bucks!! 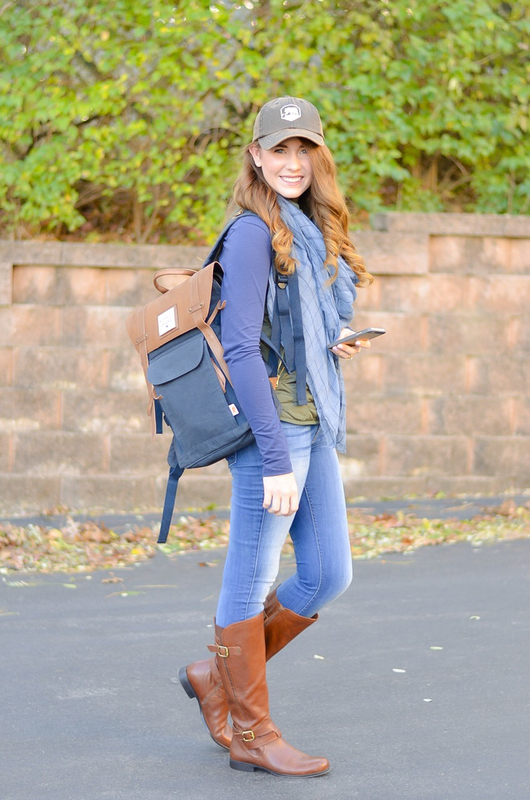 Love both of these casual looks! The styling is perfect and I'm dying over all the shoes! 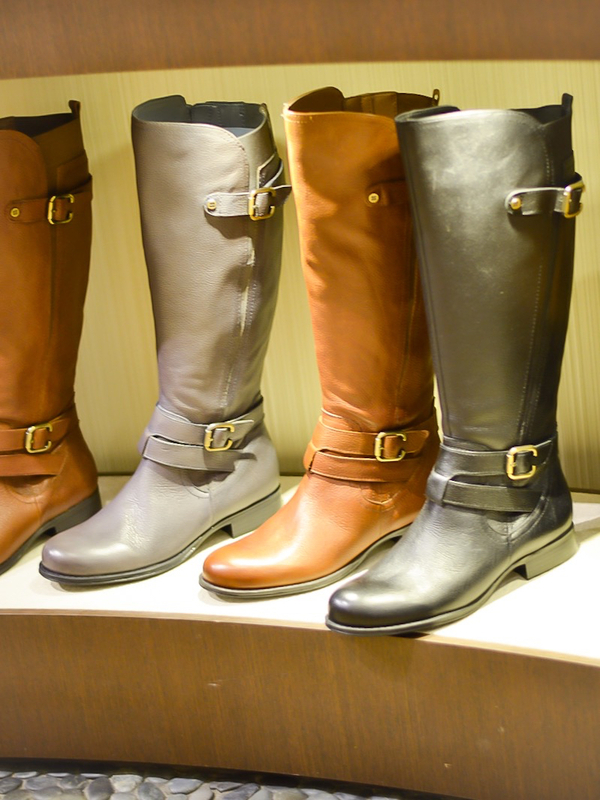 I have a very similar pair of Naturalizer boots in black. I LOVE THEM. Love your brown ones. I got to try out a pair of their boots recently too and they were amazing! This sounds like such a fun experience, and I love both looks. I have been hearing great things about these shoes - need to give them a try. 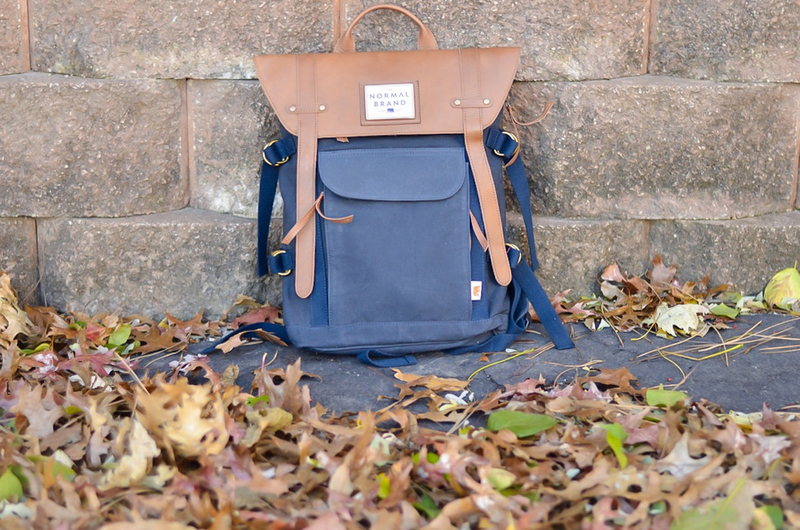 I am dying over that cute backpack, like for real! Your boots are stunning! 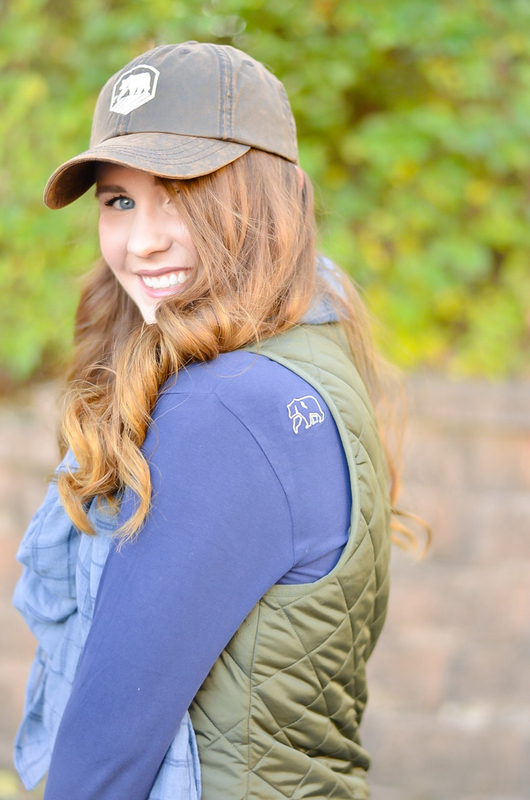 Love your first look with the fitted cap the most! 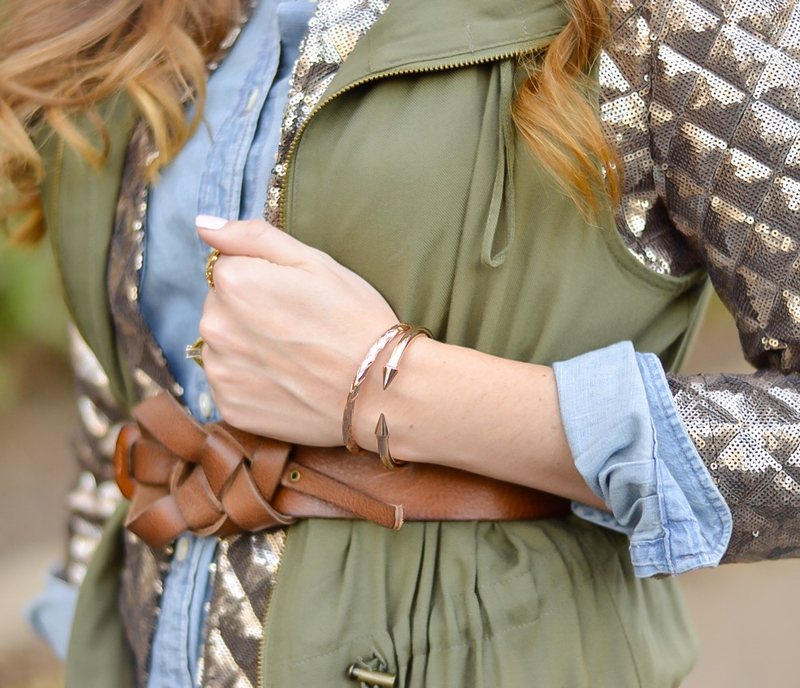 In love with your accessories in this look! I love each of these outfits! They are so cute! Those boots are so nice! 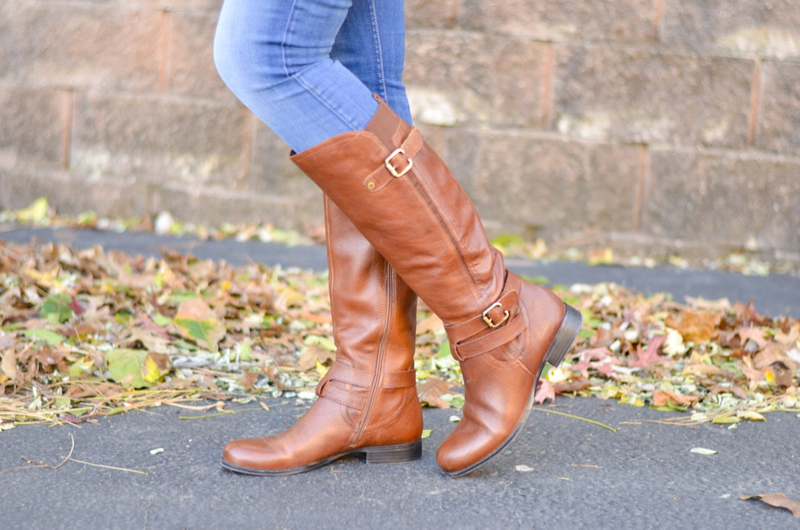 These boots look so comfy! Great pick! 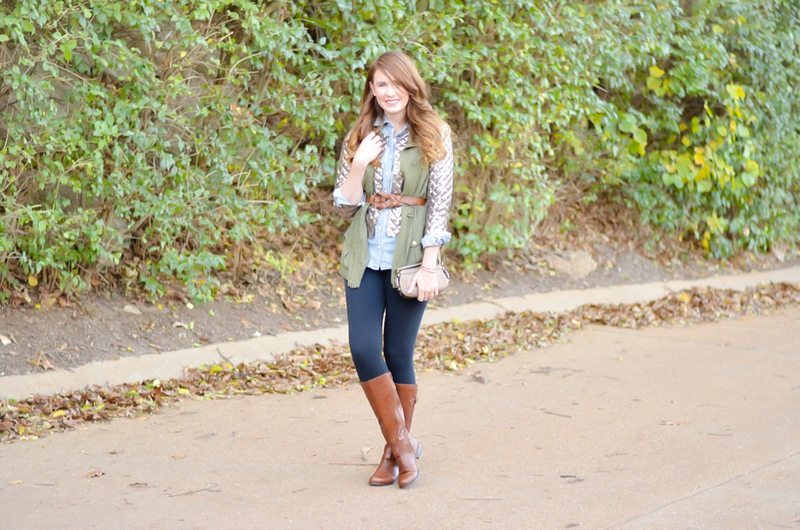 Those look like great boots, and I love both ways you styled them! I used to teach and I had a pair of gray Naturalizer slingback pumps that I wore to death... they were so comfortable and they went with everything... so cute too. I need to go back to Naturalizer again! I can see why the boots caught your eye! They're super cute! 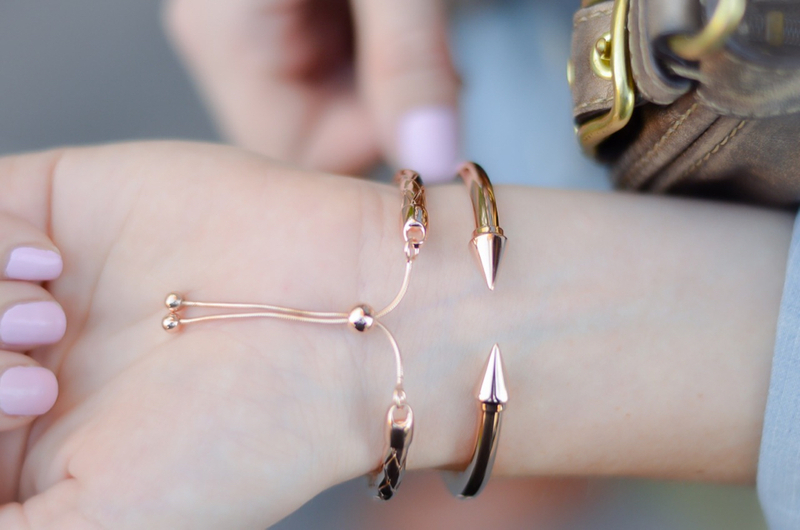 Love the way you've styled them!